In honor of Bonnie and Jason's wedding being featured by The Knot later this month, I thought it fitting to finally share Bonnie's bridal session! Stunning in every way, Bonnie exudes beauty, class and grace. From the moment we met I knew she was one hundred percent lovely. On a hot summer day in Nashville, we met for her session at Cheekwood. We kept cool in the air conditioned mansion to start off then braved the humidity as we moved around the gorgeous grounds. You would never know it was blazing outside, as Bonnie remained gorgeous all the way through! 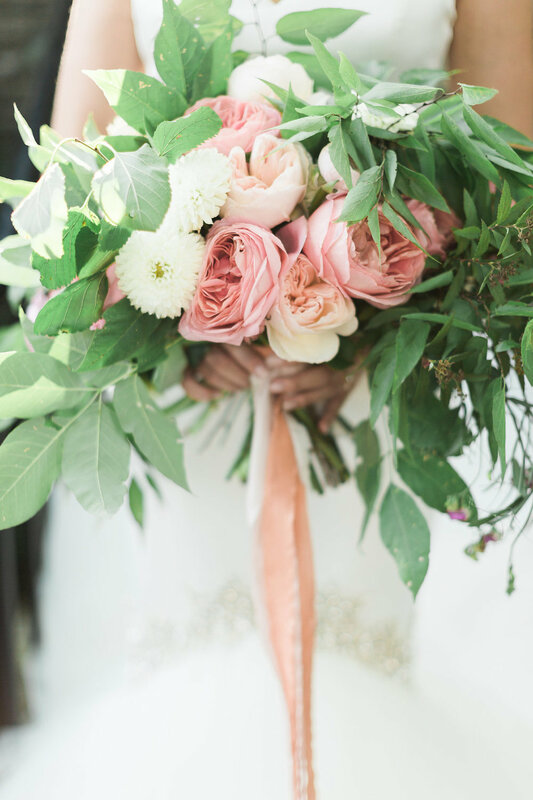 Lauren Emerson made a lush bouquet fitting of Bonnie's bright personality and smile, full of bold blooms including dahlias and garden roses. Needless to say I had such a great time capturing this bride in happy anticipation of her wedding day. Stay tuned for the full wedding feature on The Knot in a few weeks!